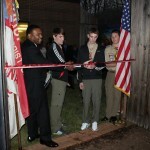 Manassas, VA — Prince William Hospital administrators, staff and Manassas Scout Troop #670 gathered recently to unveil an outdoor oasis providing a tranquil environment for behavioral health patients. The garden provides a secure outdoor space for enhanced therapy activities to inspire healing, including gardening, relaxation through soothing colors and beauty of the garden, and physical exercise. 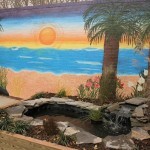 Named “Tranquility Garden” by staff, the 3,200 square foot garden was thoughtfully landscaped with greenery and flowers, a pathway for strolling, and hosts raised garden planters, a fish pond and a colorful mural depicting a beach scene. 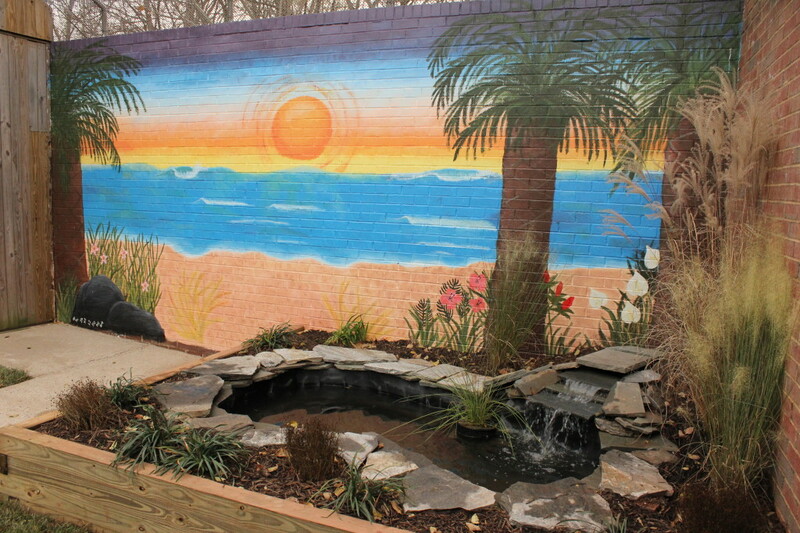 Designed based on research that physical environments can have multiple psychological, behavioral, social and biological influences on health, the collaborative community effort, involved Manassas Scout Troop #670 and mural artist Olivia Smith giving their time and talent to transform the space so patients can connect and benefit from nature. “Giving is part of Scout Spirit so it is an honor that our young men led and managed this service project, a true transformation that will benefit members of our community,” said Robert Lesefka, scout master, Scout Troop #670.